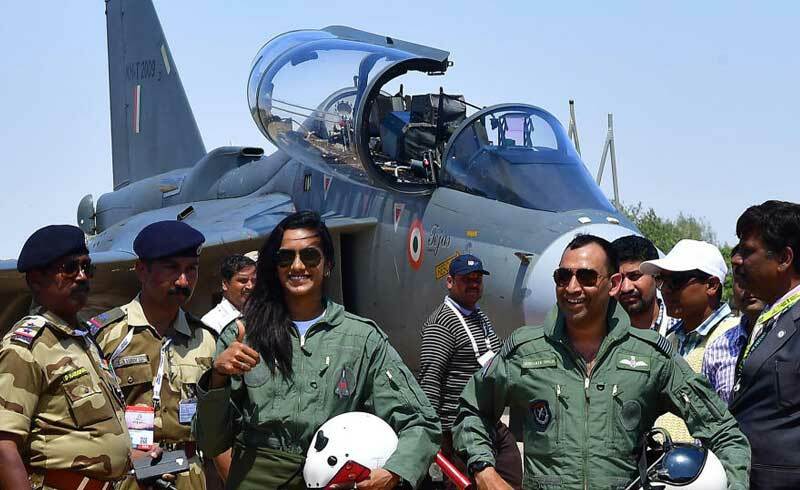 Creating history at the Aero India 2019, Badminton sensation P V Sindhu on Saturday became the first woman to fly in the Light Combat Aircraft (LCA-Tejas). 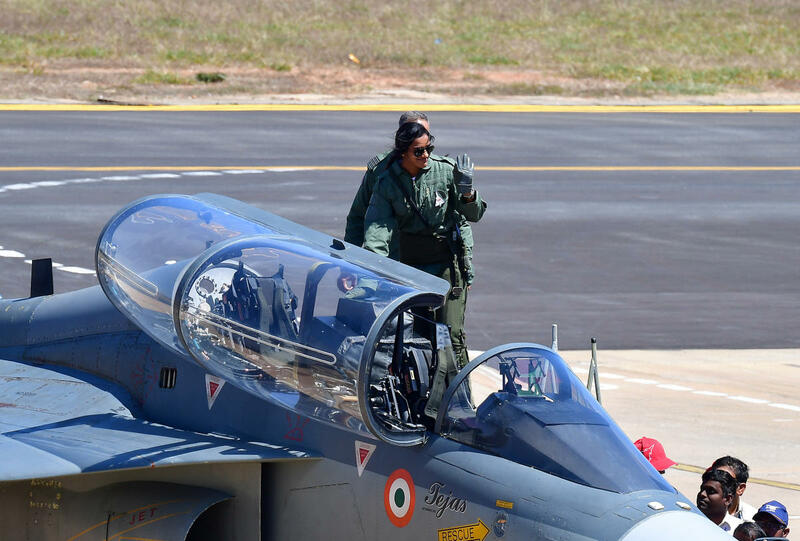 She is also now among the youngest to co-pilot the fighter jet built by the Hindustan Aeronautics Limited (HAL). 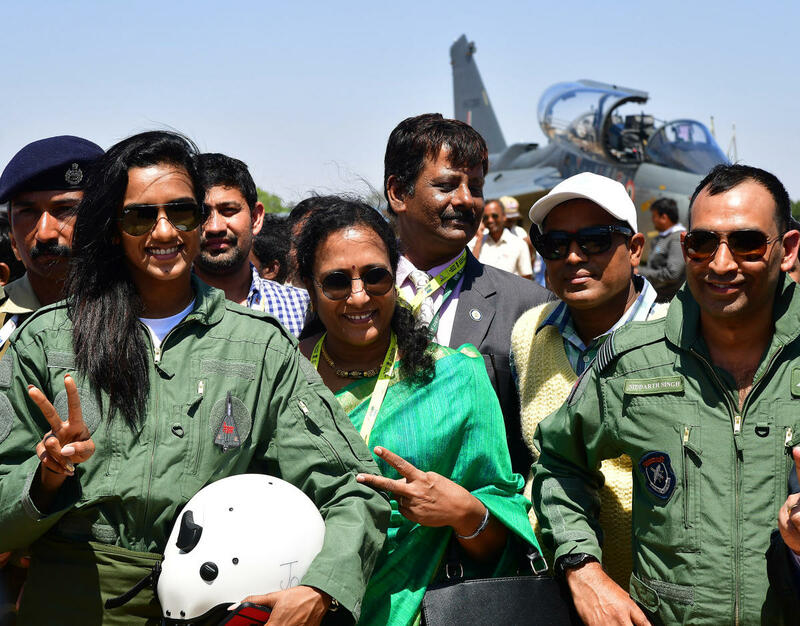 Waving to the crowds at the Yelahanka Air Force Station tarmac, Sindhu climbed onto the two-seater trainer version of the Tejas at 12.05 pm. Piloted by Wing Commander Sidharth Singh, the aircraft then went on a 35-minute sortie, climbing to an altitude of about 4 km to complete a series of loops and turns. For Sindhu, it was a top-of-the-world world feeling yet again, but the first outside the badminton court. “It was a great experience and a great opportunity. I also experienced something close to 5G. I am really honoured. The captain showed me all the manoeuvres,” a smiling Sindhu later told media persons. Wing Commander Singh could see Sindhu quickly adapting to the high altitude and speed. “We carried out some attacks at a dam nearby. She then flew for about five minutes herself,” he noted. She was not exactly on her own, as the pilot monitored her hold over the control stick in the co-pilot cockpit. Sindhu’s arrival at the airshow venue just before the massive fire that gutted 300 cars, was part of a celebration of Women’s Day at the airshow. Outside the glare of Sindhu’s flight, an all-women crew flew the Dornier 228 aircraft. 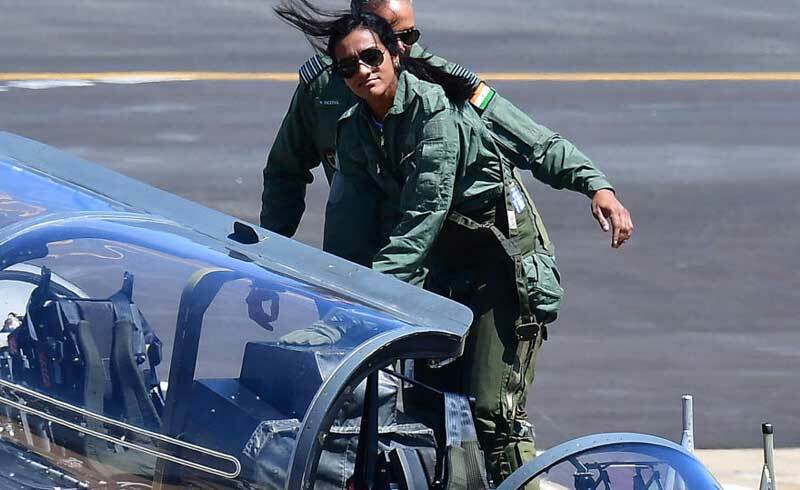 Just as Squadron Leaders Kamaljeet Kaur and Shruthi Chauhan completed this flight, Second Lieutenant took an Advanced Light Helicopter attached to the Sarang aerobatic team on air. Flt Lt Amardeep Kaur, Flt Lt Sindhu Reddy and Second Lieutenant Khushboo Gupta all flew the Chetak helicopter. The Air Traffic Control (ATC) was also operated by an all-women team. 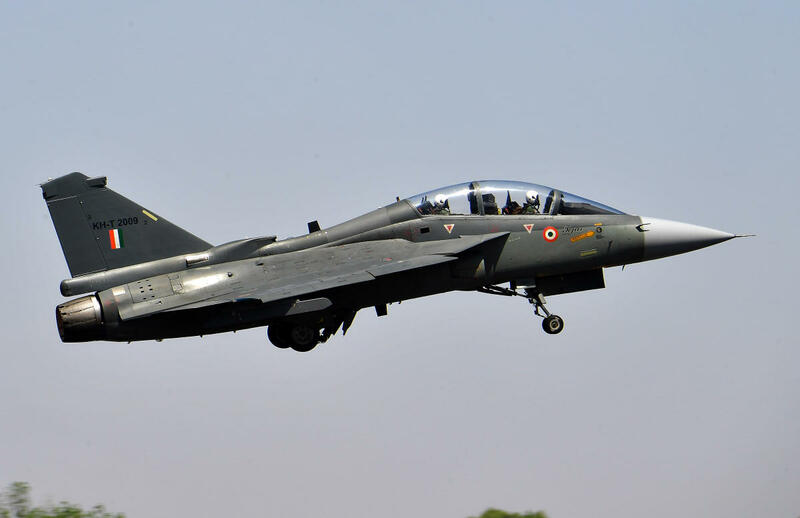 Ever since the LCA’s weaponised version was formally granted the Final Operational Clearance (FOC) at Aero India, the jet has been in the limelight. On Thursday, Army Chief General Bipin Rawat had flown in the LCA, dubbing it a wonderful aircraft.